Adele Lee, Esq. Adele Lee, Esq. 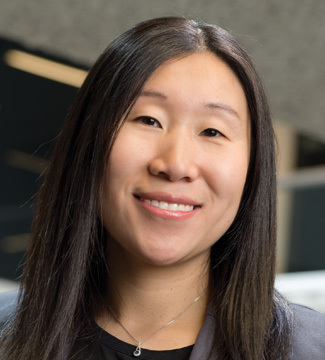 Adele Lee is counsel at A.Y. Strauss. She represents clients in connection with commercial real estate transactions, corporate finance and distressed debt transactions. Adele began her career as a real estate finance associate at Dechert LLP, where she represented major institutional lenders in multi-state real estate debt financing. She worked extensively in originating mortgage and mezzanine loans for the development and financing of shopping centers, office complexes and other commercial properties. Most recently, Ms. Lee was an associate in the debt trading group of Richards, Kibbe & Orbe LLP. There, she represented investment banks, hedge funds and other financial institutions in connection with the purchase and sale of distressed assets, including, among other things, domestic and international syndicated bank loans, and claims in bankruptcy and insolvency proceedings. Adele has also undertaken numerous pro bono engagements. She assisted hurricane victims to file succession documents in order to establish heirship to claim federal aid to repair damaged homes owned by deceased relatives. In addition, she advised a low-income Housing Development Fund Corporation (HDFC) in New York on the closing of a loan from a credit union, acting as liaison between the HDFC, the lender and the Urban Homestead Assistance Board.